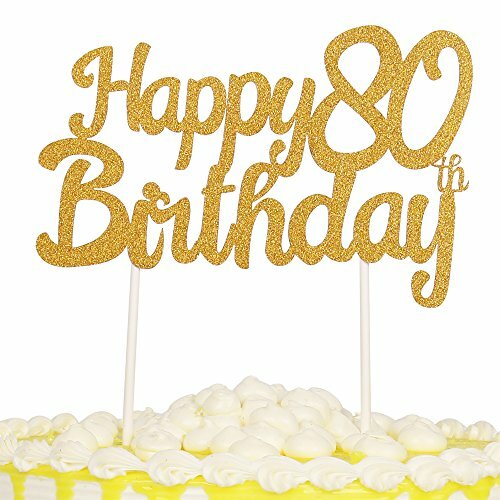 Looking for fabulous 80th birthday cakes? 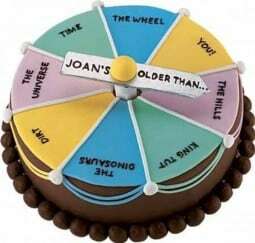 The cake takes center place at an 80th birthday party! 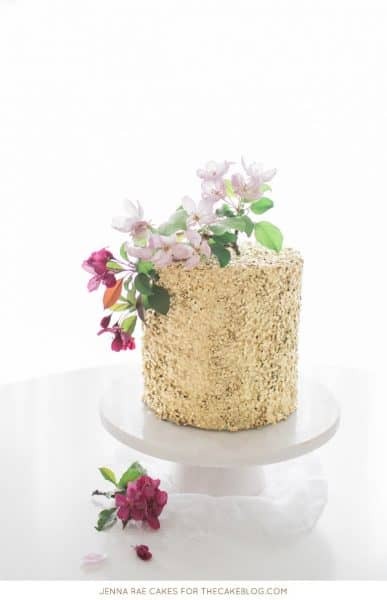 Here are my favorite cake ideas from around the web – both homemade and professionally made. 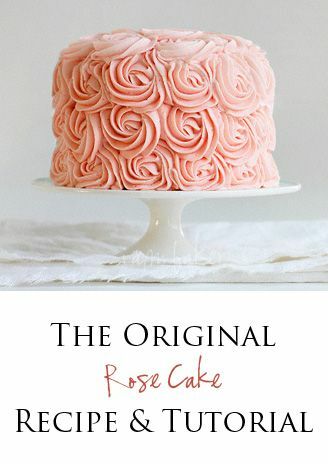 This is a sweet cake that you could probably make at home if you’re familiar with using fondant. You could also cover the cake with other types of frosting. 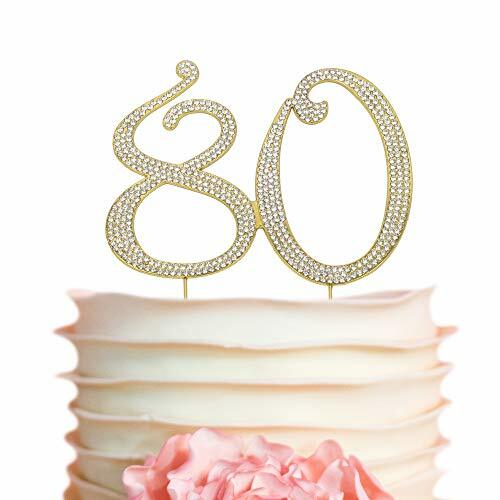 Elevate any cake to a work of art with a glittery 80th birthday cake topper. 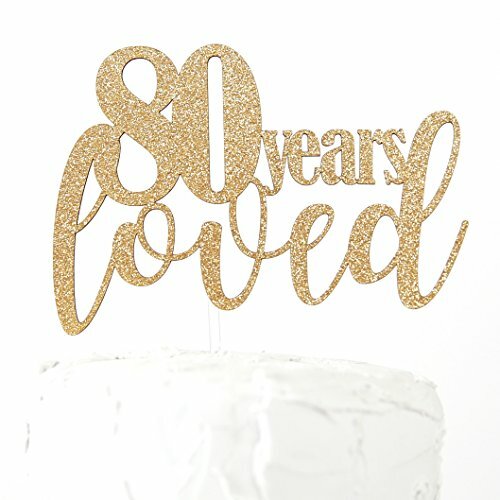 A cake topper is a gorgeous addition to any cake - whether the cake is homemade or store-bought. It's such an easy way to add a touch of glamour to your celebration! Another fabulous cake that incorporates the celebrant’s favorite hobby into their cake! 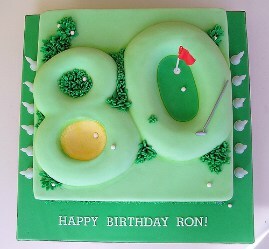 This site also has several other cute golf themed cake ideas. 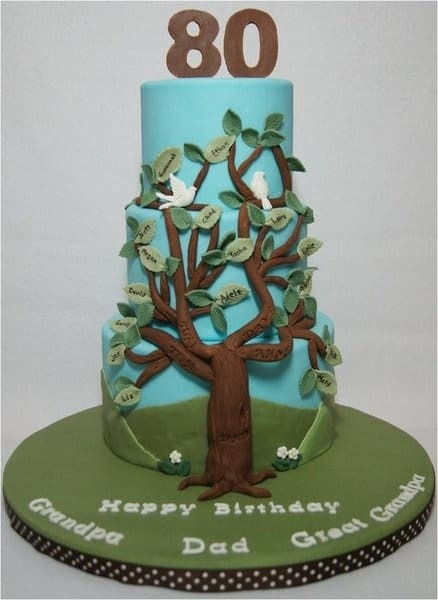 Here’s another great example of a family tree cake. 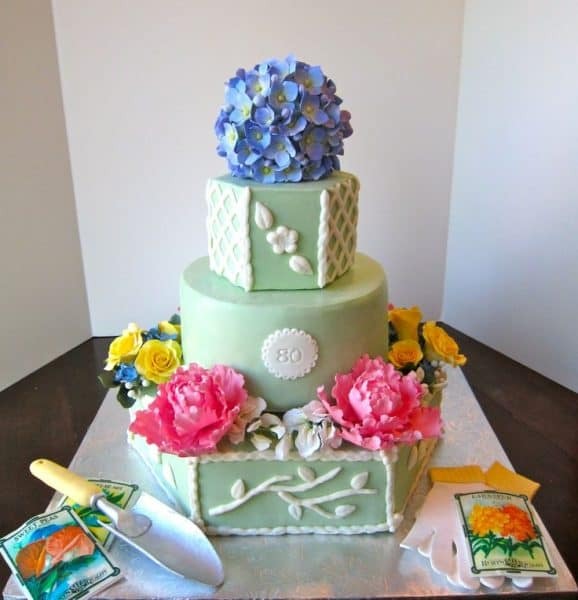 This one features each family member’s names stamped onto the fondant leaves. 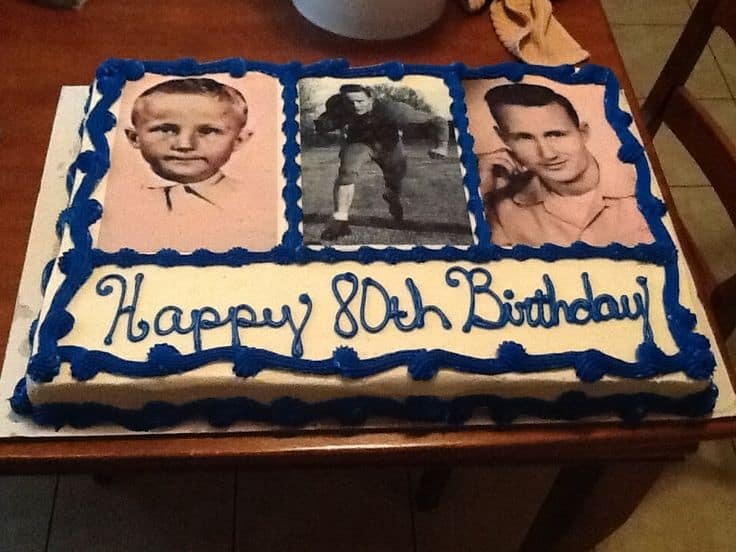 The different titles that everyone uses for Dad on the base of the cake are a nice touch! 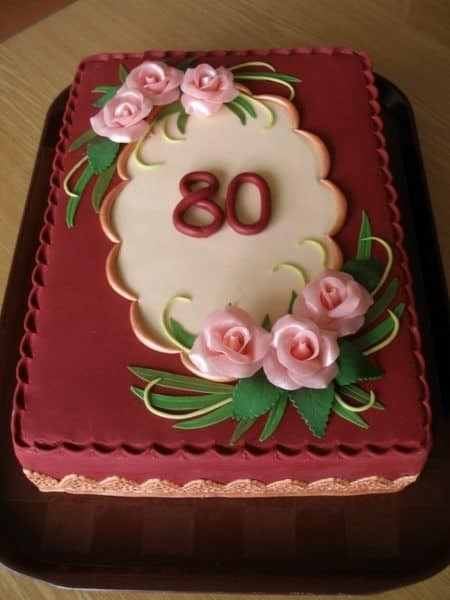 This is a simply beautiful 80th birthday cake, perfect for a tea party, garden party, or just about any woman who would enjoy a super-feminine cake. Amanda at IAmBaker.net has put together a wonderful tutorial, full of pictures. She makes it look so easy! She’s also put together a 4 minute video tutorial, in case you’d rather watch someone do. She decorates an entire cake in just 10 minutes! You can watch the video here. And the secret to getting those magnificent colors on the roses? She uses a combination of two different food color sprays…very clever! This homemade cake uses edible photo decorations from the birthday celebrant’s life. 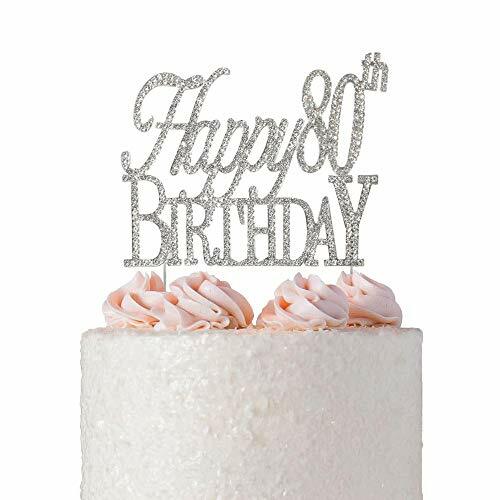 You could decorate the cake in any colors to match your theme. Chocolate cupcakes with Bailey’s Irish cream filling – all wrapped up in disguise as a beer mug! 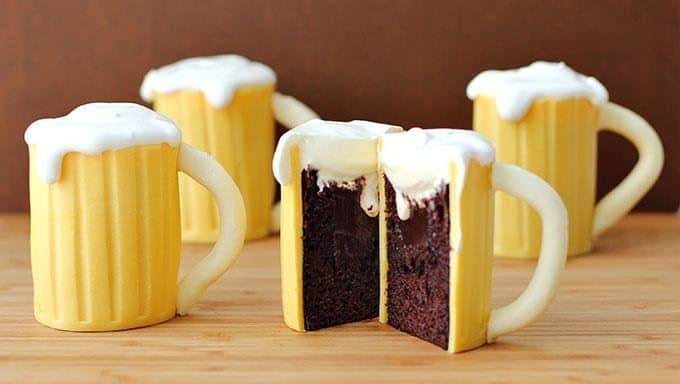 How perfect would these beer mug cupcakes be for a man’s party? See the complete recipe and decorating instructions at Tablespoon!. 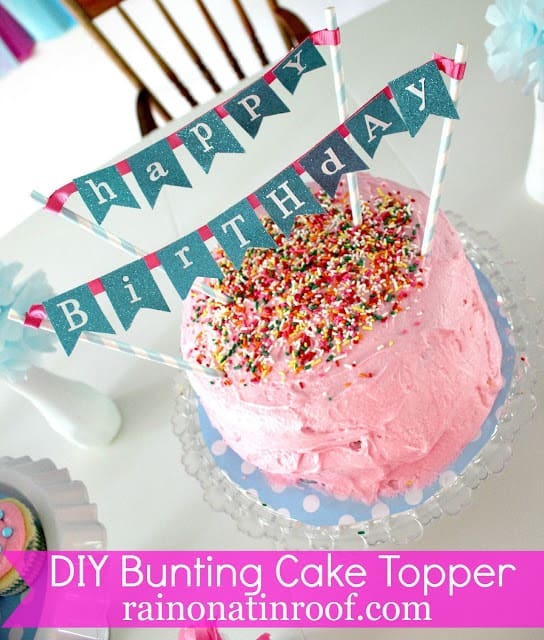 Adorable (and easy-to-make) topper from Rain on a Tin Roof is a fun accent to your favorite birthday cake. Change the colors to match your party theme. Simple yet elegant, this striking cake can be made in any color scheme. Unfortunately, there are no instructions, but the semi-advanced cake decorator should be able to pull this off. You could always use silk flowers if you want an easier design. 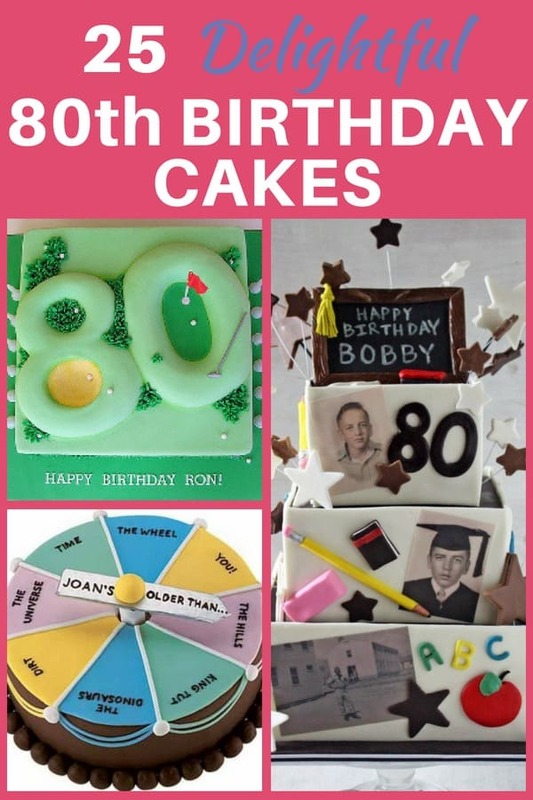 Don’t you just love photo birthday cakes – especially ones like this that showcase pictures of the birthday celebrant from different ages? Check with your local grocer, Wal-Mart, or your local baker to see if they’ll print the edible photo stickers for you. 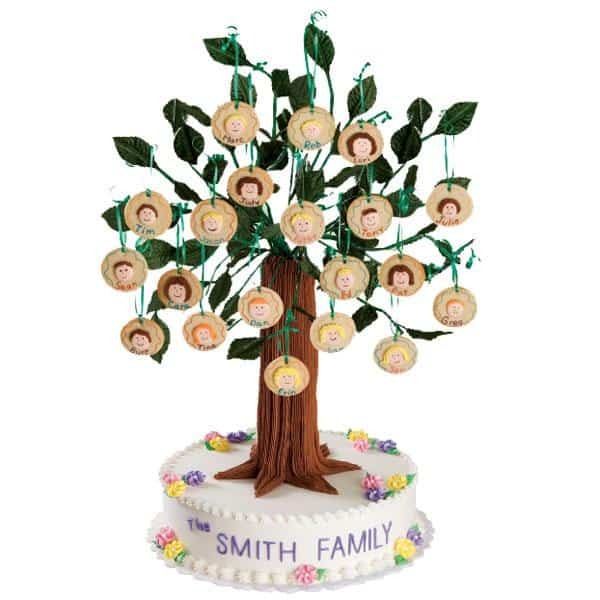 This adorable 3-d family tree cake features individual cookies that are decorated to resemble each family member…sure to be a hit at any birthday party! I think it would also be great to print each family member’s picture on edible rice photo decals and decorate the cookies with those. Or if you want something a bit more simple, just print each family’s members name in frosting on the cookie and don’t worry about adding a picture. See detailed instructions at Wilton. Don’t you just love when birthday cakes reflect the person’s interests? 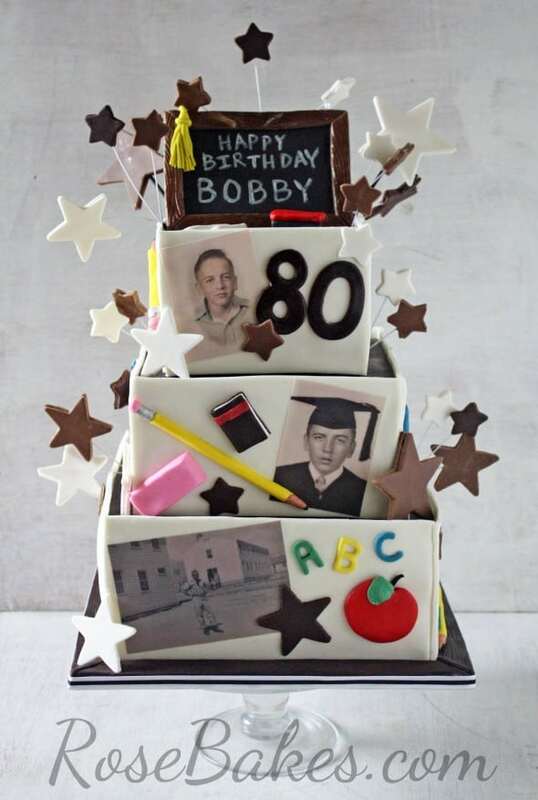 This simply stunning cake was crafted for a former teacher, and really highlights his life. 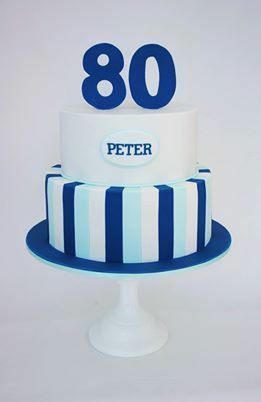 Rose, the amazingly talented baker at RoseBakes.com, has outdone herself with this magnificent 80th birthday cake for a retired teacher. I love the way she incorporated photos of the birthday celebrant at all different stages of his life. And the adorable teacher-themed decorations are too cute! 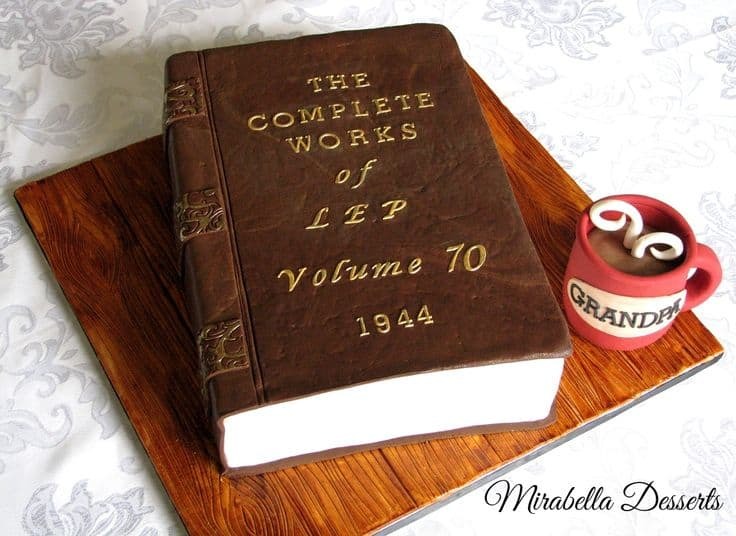 She gives very detailed instructions on exactly how she made this cake, and includes loads of gorgeous photographs. Definitely worth checking out! 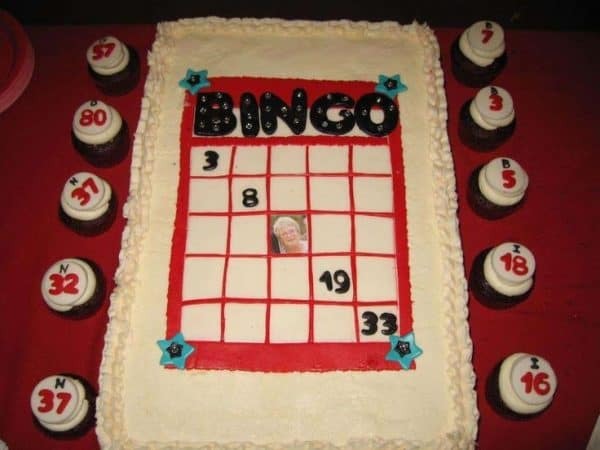 If you’re planning a Bingo-themed party, this cake is a great choice! Using a photo of the birthday gal as the “FREE” space adds a whimsical touch. Cupcakes with numbers represent the bingo balls. Impress everyone at the party with this fabulous DIY cake! You can find complete directions on the Wilton site – and believe it or not, it’s rated as “Somewhat Easy”. 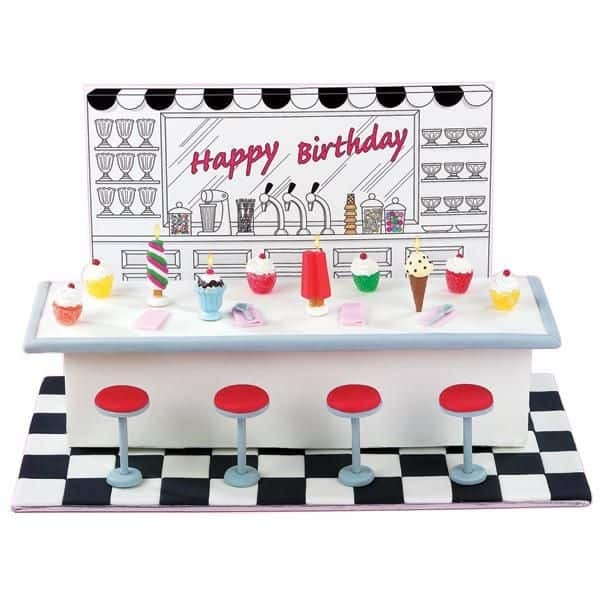 Step back into long-ago days with this stunning malt shoppe cake! If you’re up for a challenge, you can find complete instructions on the Wilton site. It’s rated as “Medium” difficulty. 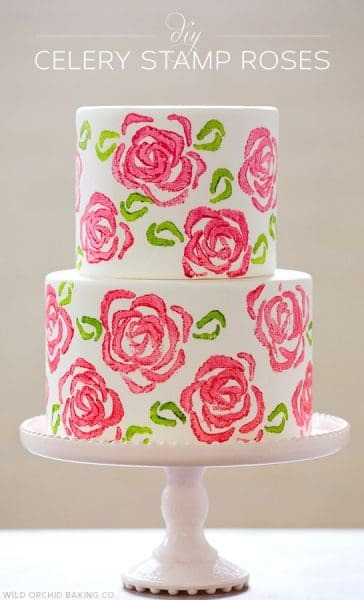 Believe it or not, the roses on this cake are made by using a celery stalk as a stamper! See the complete directions on The Cake Blog. An impressive cake for the wine lover! 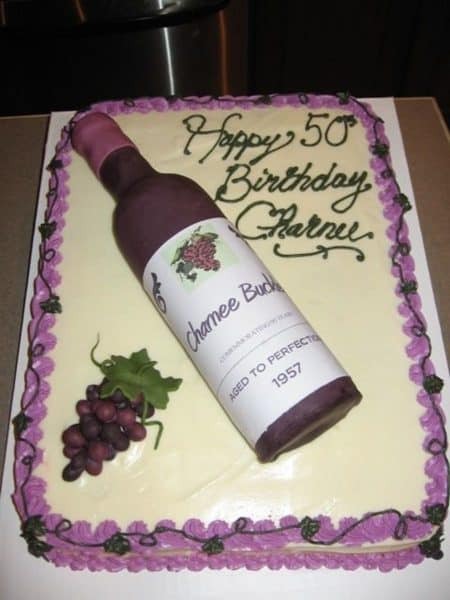 Read the comments on Cake Central for directions on how to make the wine bottle (she uses fondant). Find free printable wine bottle labels at Love to Know. Check with your local baker, Walmart or grocery store to see if they can print an edible image for you. 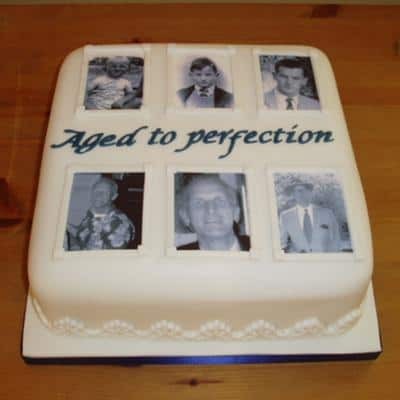 If not, check out this option at Amazon – they’ll print an edible image for you in any standard cake or cupcake size. An edible image is a fabulous way to make your cake truly personal…you can add a picture of anything you’d like to your cake! It’s always fun to incorporate the guest of honor’s interests into their birthday cake! 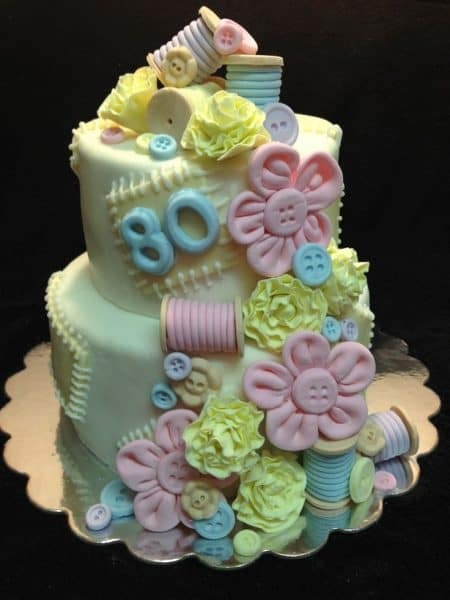 This lovely cake is for a woman who enjoys sewing – cute button flowers, spools of thread, and patches “sewn” onto the cake are just adorable. 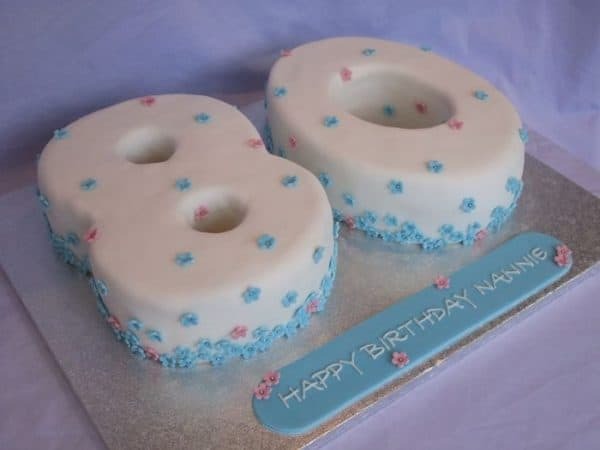 Don’t you just love the simple elegance of this cake? You could do the stripes in whatever color you choose. Perfect for the man with a sense of style, this unique cake is sure to be a hit! 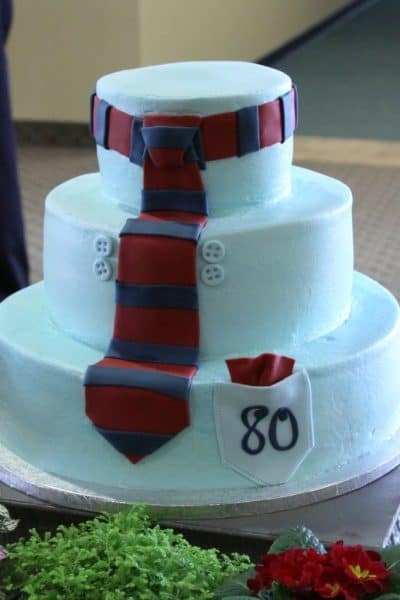 Sorry to report that there aren’t any directions for the cake, but the tie should be fairly easy to make. 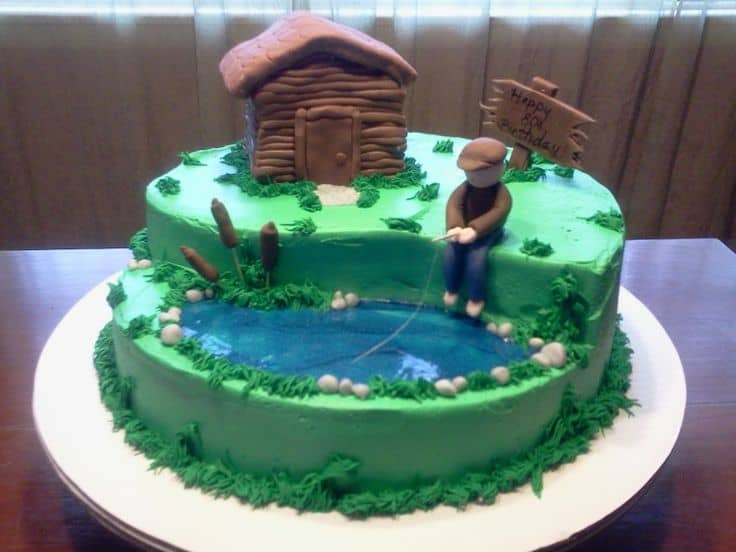 This adorable cake is a fabulous choice for the man who loves to fish! The cake artist offers just a few details on how she made the cake here. Most of the decorations are made from gumpaste; however, the cabin is actually a cleverly-disguised rice krispie treat! All the decorations, including the flowers, seed packets and gardening tools were handmade from gumpaste. Kudos to the cake artist! A great choice for the life-long book lover! Unfortunately, no directions, but see the original and get more inspiration at Mirabella Desserts. What an elegant look – and it’s much easier than you might think! You could change the colors of the sequins to match your party theme if you’d like. See the complete instructions at The Cake Blog. 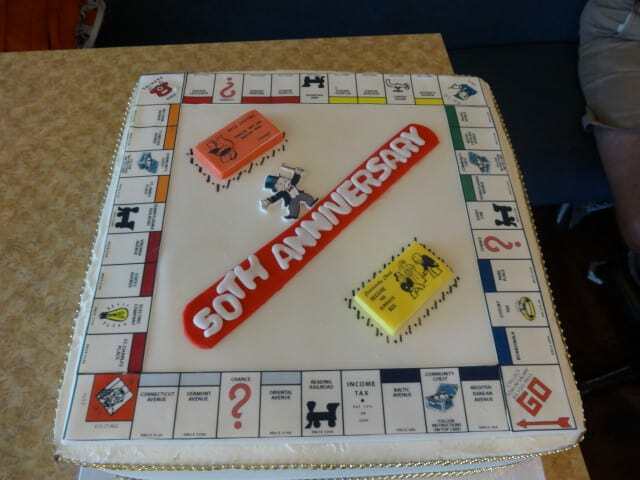 This adorable Monopoly cake was professionally made by Twiggs, but you could easily make a simpler version at home. Pinterest has loads of great ideas for Monopoly cakes and cookies that you could make at home.